Of course, you won’t be able to network yourself a fantastic job without a resume in place. It is just as vital on the Internet as it is in real life. The main language that is currently used on LinkedIn is of course English, however the Internet is a global entity and you will be able to score jobs around the world if you have the right resume in place. To do this you will need to learn how to translate your resume in order to get it in front of everybody’s eyes on Linkedin. Don’t worry though, the process is incredibly simple. The first step is the preparation of your resume. There are plenty of guides out there on the internet so I won’t really go too depth on this. All you need to remember is to include everything that you feel may be vital information in getting the job you want to. You should also showcase your skills perfectly. Feel free to write this in your own language. Now, you can save the document as a PDF or a word file. 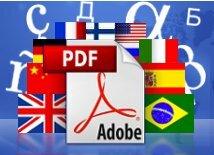 There are plenty of tools for pdf translation, so for many people this is the preferred method. After that all you need to do is feed it through your translation machine and you will receive your freshly translated document for you to upload to your LinkedIn profile. If the file is unable to be properly converted then there are plenty of places on the Internet in which you can receive online translation help. Uploading your resume isn’t too difficult on LinkedIn. However, you should bear in mind that you will not be able to upload your translated document straight to the website unless you use a file hosting service. It is something that you should look into in the future if you want to upload a lot of documents online. LinkedIn is instead intended to act as a ‘replacement’ for your resume. For that very reason you will want to open up the ‘edit’ section of the website and copy and paste the details from your translated document into the relevant locations. Make sure to pay attention to what you are pasting where. You don’t want to lose out on a job because you posted your ‘Job History’ in the place where your ‘Education History’ was meant to go, do you? Now that your resume is uploaded you can start marketing yourself. The perfect job and contacts are waiting for you on LinkedIn. Translate PDF documents automaticallyWhether you need to understand user guides, manuals, memos, slide shows or other PDF documents quickly, Multilizer is your solution. Download Free version here. Previous Previous post: Does Translation Tech Help Marketers? Next Next post: How to Zoom PDF on Kindle?